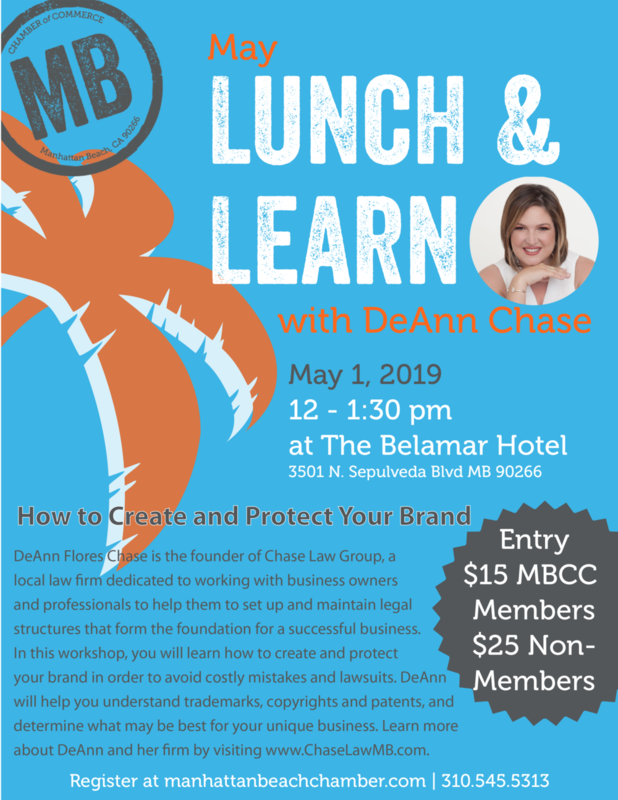 Join us for our monthly lunch & learn with DeAnn Chase from Chase Law Group. If you are looking for an event that involves learning resourceful business tips while networking and having lunch, then this event is for you! In this month's workshop, you will learn how to create and protect your brand in order to avoid costly mistakes and lawsuits. DeAnn will help you understand trademarks, copyrights, and patents, and determine what may be best for your unique business. Don't forget your business cards!